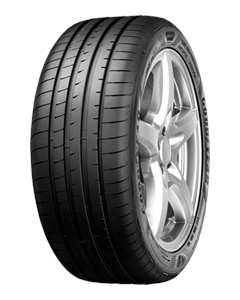 Goodyear has announced its next-generation Ultra High Performance (UHP) road tire, the Eagle F1 Asymmetric 5. Conceived as the ultimate all-round summer tire, Goodyear has utilized innovative technologies to unlock significant improvements in wet braking and dry handling without compromising ride comfort or road noise. Key to the tire’s breadth of ability is Goodyear’s development of a highly-refined compound that combines wet weather capabilities without sacrificing endurance or dry handling performance. Thanks to a contact patch designed to extend when braking, the tire’s contact with the road increases to a level more usually associated with a track tire, resulting in wet stopping distances which are a significant 4 percent shorter compared to the Eagle F1 Asymmetric 3. I got in contact with Bob Farnon Tyres, asking if they could facilitate checking a vehicle I was keen on purchasing. They very kindly squeezed me in on the same day, and were more than happy to get the car up on a ramp and assist me in inspecting the car. They were even happy to carry out an emissions test! When wishing to settle up for the time taken to inspect the car, I was told that there was no need and I was very taken aback. Excellent customer service by Bob Farnon Tyres! Excellent service, efficient, competitively priced and reliable.